Several hundred Chinese pilgrims travelled to India between the 5th and the 12th centuries, seeking authentic teachings and authoritative texts in the Buddhist homeland. The most famous are Faxian, Xuanzang, and Yijing, who left written accounts of their travels. For all these pilgrims, seeing works of art—which they encountered at temples, monasteries, and private shrines across India—was an essential part of their Buddhist education. This lecture recounts their journeys across India, highlights the schools of Indian art they would have encountered, and draws from their writings to describe what they saw, and what they learned from their encounters in the Indian Buddhist holy land. 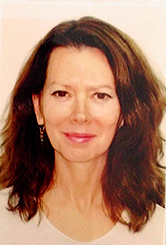 Jane Casey is an art historian specializing in Himalayan art. Dr. Casey has curated exhibitions at the Metropolitan Museum of Art in New York and at Casa Asia in Barcelona. Her publications include books and articles on Himalayan painting and sculpture. She is a Research Fellow in Tibetan Art at The Palace Museum, Beijing and is currently writing a book on Taklung Painting.